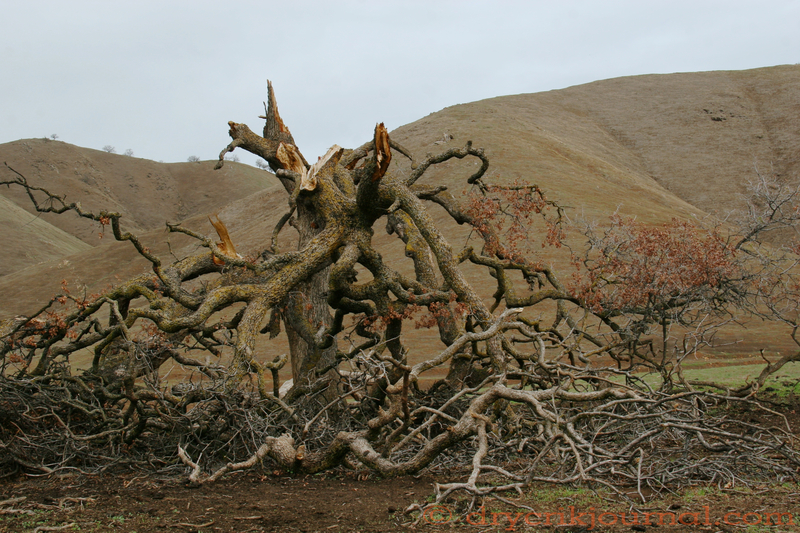 On August 18, 2013, unusual high winds left this tree in a tangle of fallen limbs. DCJ file A landmark and reference point as we gather cattle, we sadly wrote it off as a permanent casualty of the weather, but despite the drought and its hopeless state, it perseveres and remains alive. 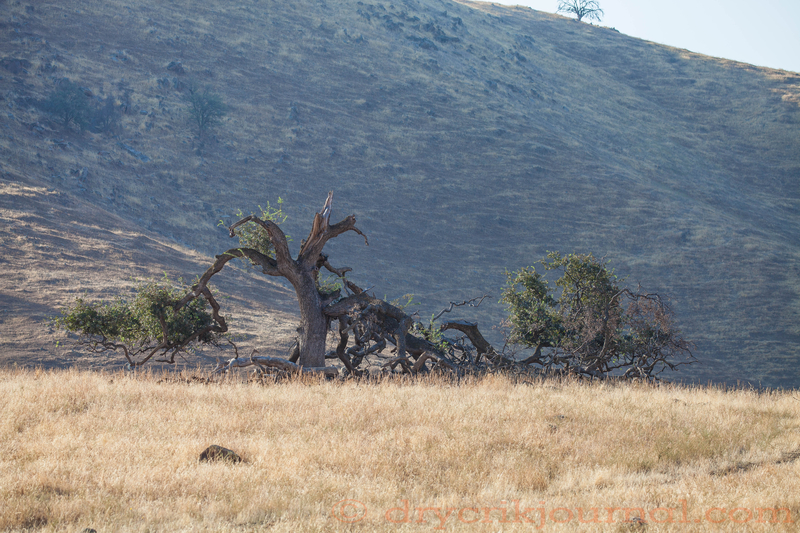 When one considers how many dead Blue Oaks are dead due to the current drought, it’s quite amazing. Like some old fishermen I know . . . Seems to become more inspiring the older we get. Nothing in Nature is a total write-off. Always referred to as ‘the tree’ where we unload our horses to gather, we stumble now, not willing to call it anything else. Ranchers and farmers must have the same roots as that oak. These roots must be connected to a good, damp place!